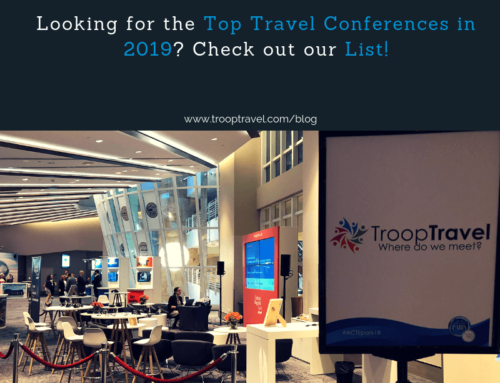 Meet us at the Business Travel Show - TroopTravel - Where do we meet? 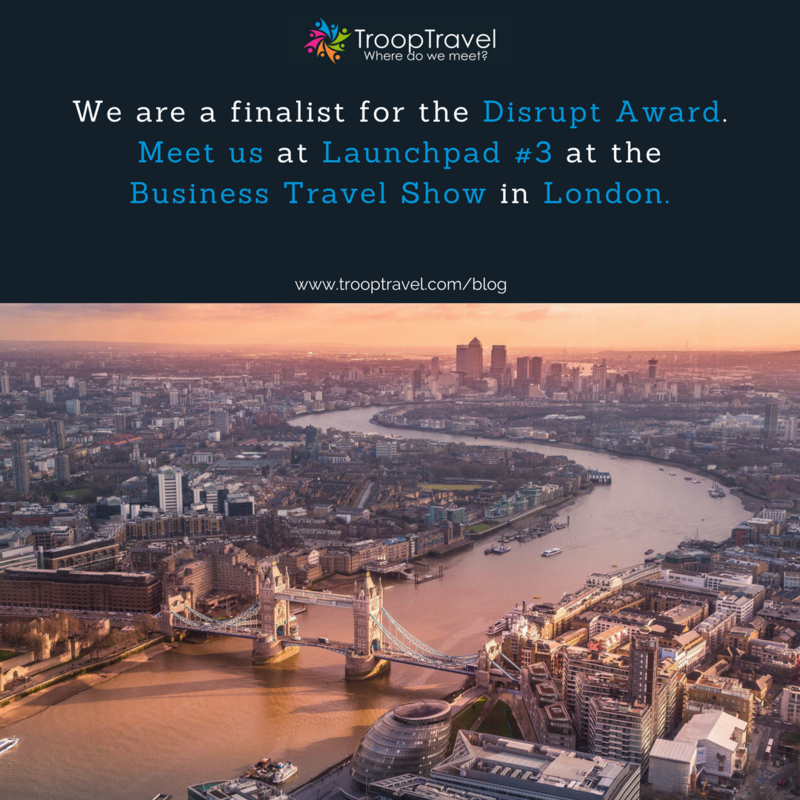 TroopTravel is a finalist of the Disrupt Awards at the Business Travel Show in London from 21st to 22nd of February 2018. 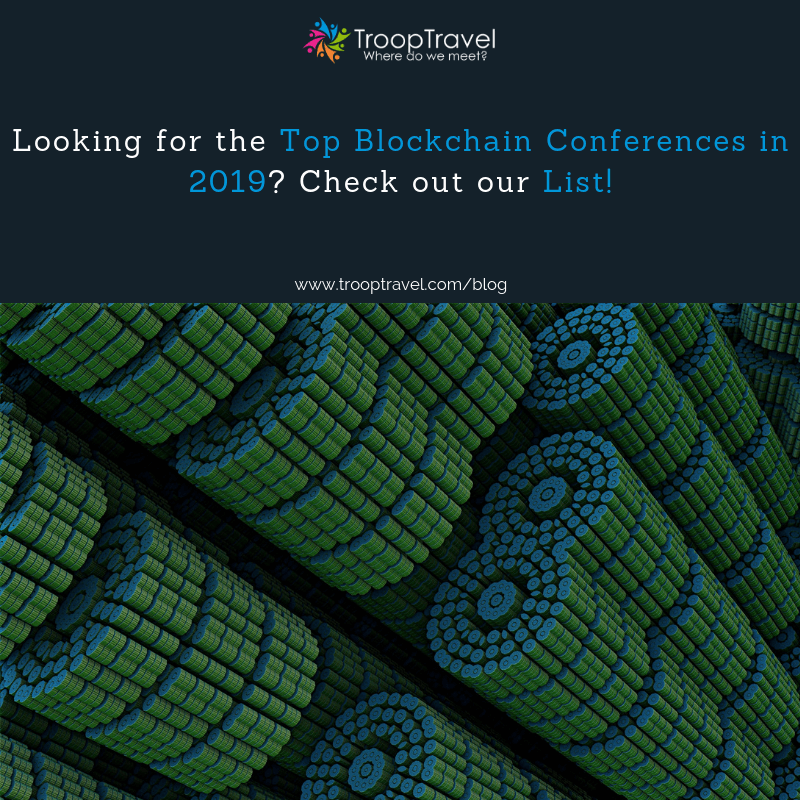 Make sure that you meet us at the fair to learn about our new corporate platform! 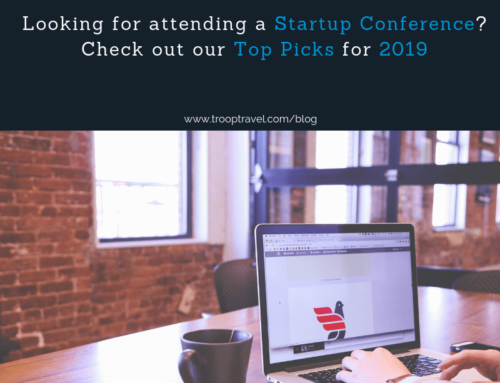 Since 2016, the Business Travel Show has given out the Disrupt Award to innovative startups in the business travel space. 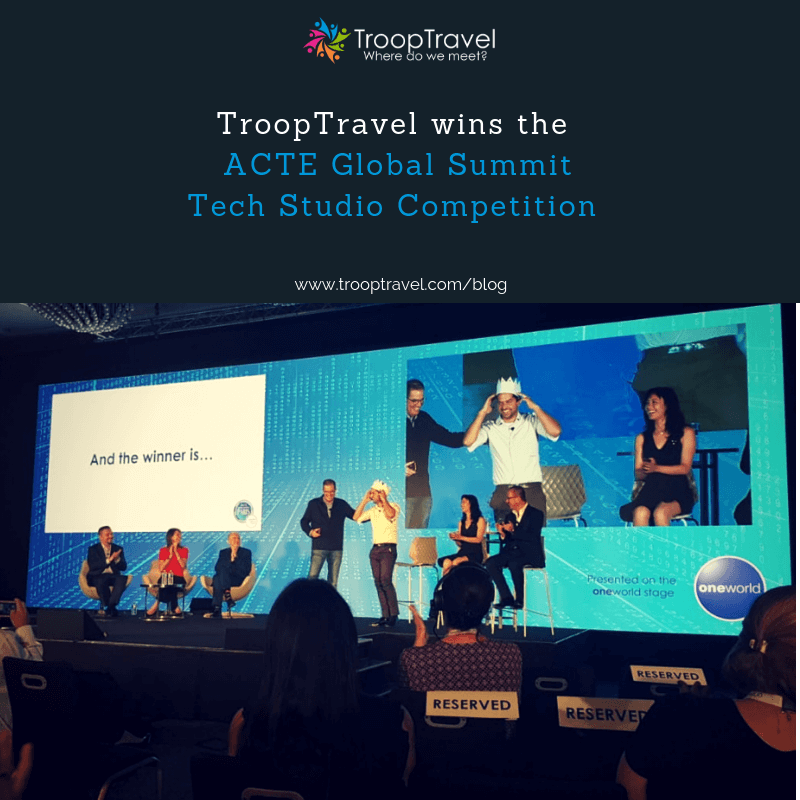 This year, there are 8 startups nominated and TroopTravel is one of the finalists. The public voting closes on Monday 12th of February and the Top 5 voted startups will be pitching their solutions in a dragon den style at the conference on Thursday 22nd of February. 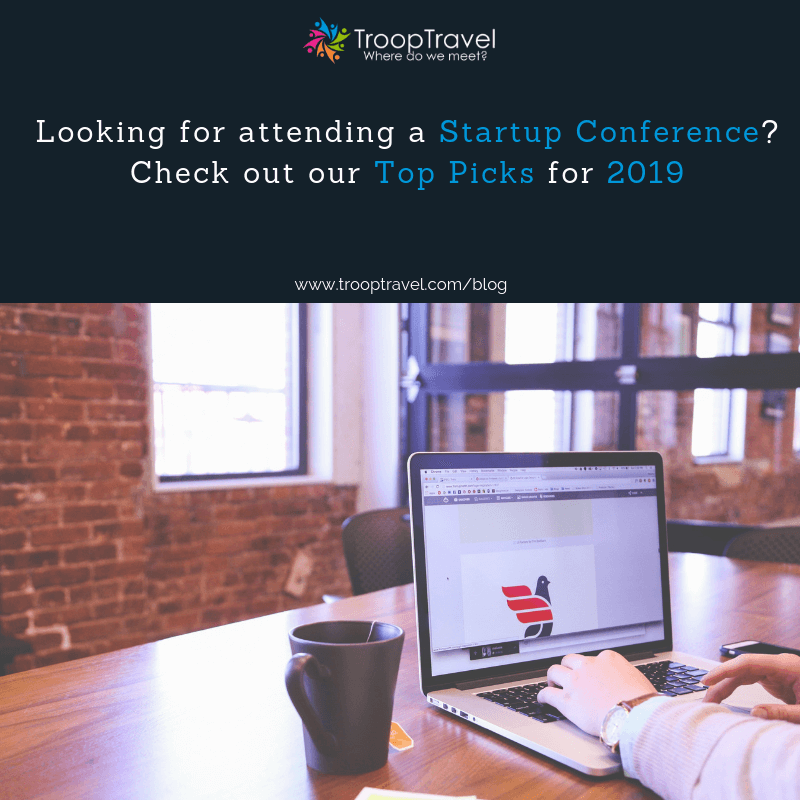 Apart of the free participation for the Business Travel Show 2019 which is worth around 8,000 GBP, the awareness raising and validation of your solutions is the key benefit. 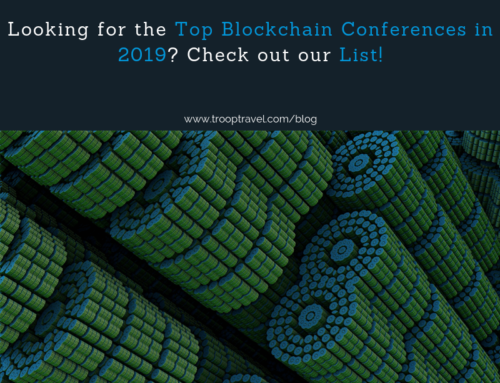 In addition, the Disrupt Award has established itself as a recognized award within the Business Travel industry. You can meet us and the other startups throughout the show at the Launchpad area. 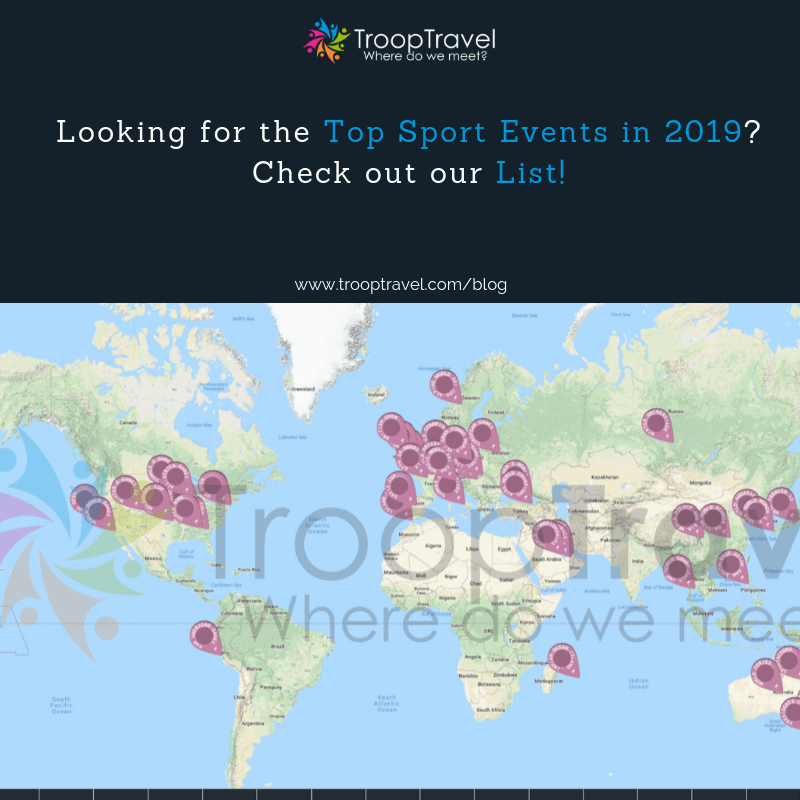 TroopTravel will be exhibiting at LP3 this year. 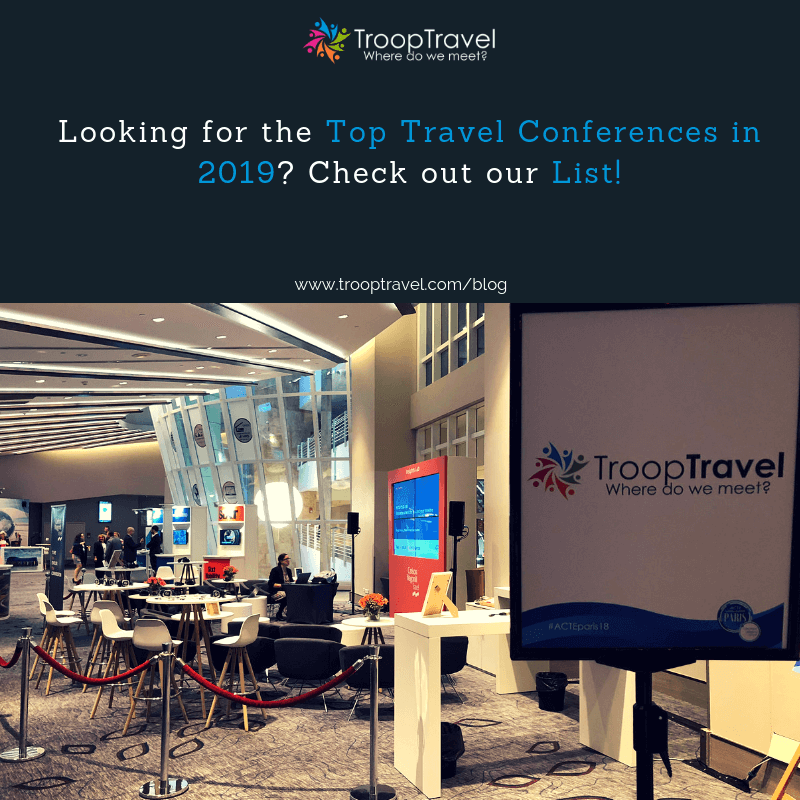 At the Business Travel Show, TroopTravel will reveal details about its corporate platform facilitating group meetings. Our founding team will be around and please reach out to meet us at or after the show. 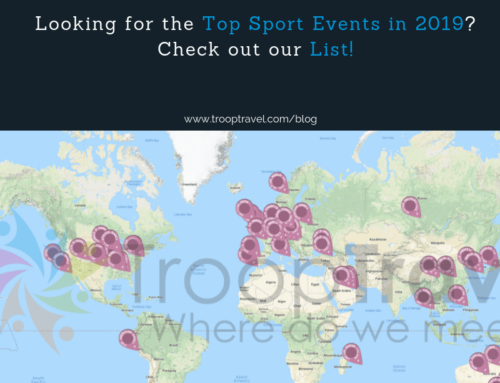 TroopTravel uses big data to find the best places to meet. 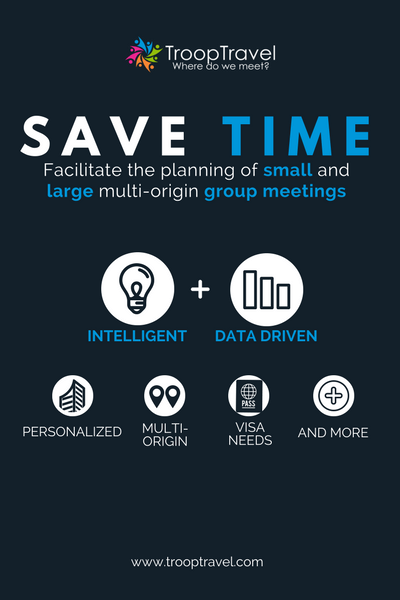 By 2020, 50% of the people will work remotely and the way we organize face-to-face meetings will change. Currently, answer to Where do we meet? is biased by personal opinions rather than data analytics. 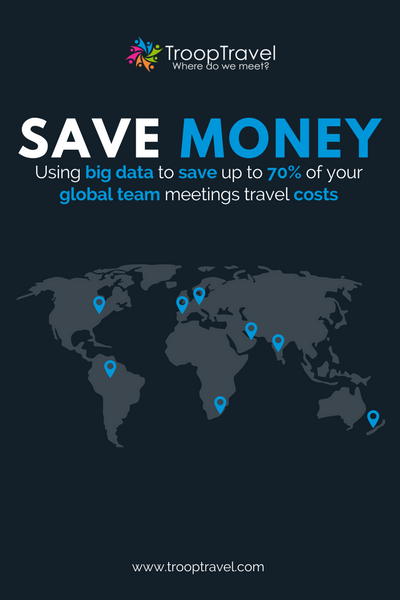 TroopTravel’s corporate platform is able to reduce the time needed for organization of group meetings as well we have realized cost savings of up to 75% on the overall travel costs. 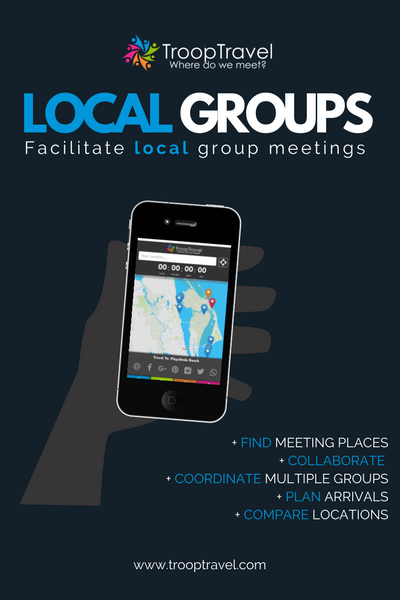 Do you know that it can be cheaper to bring 10 people from all over the world for a one week workshop to South Africa rather than bringing 5 of them to Washington, DC? 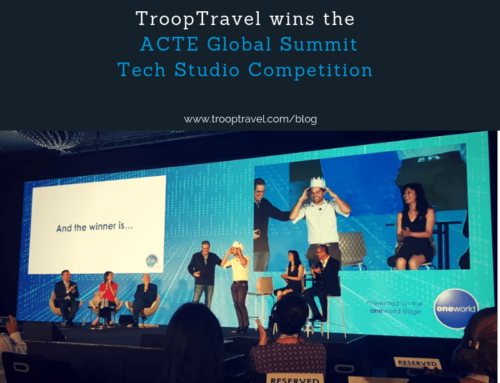 Read about our case study here. The same study reveals that it can be as well cheaper to fly 10 people to New York than 5 to Washington! 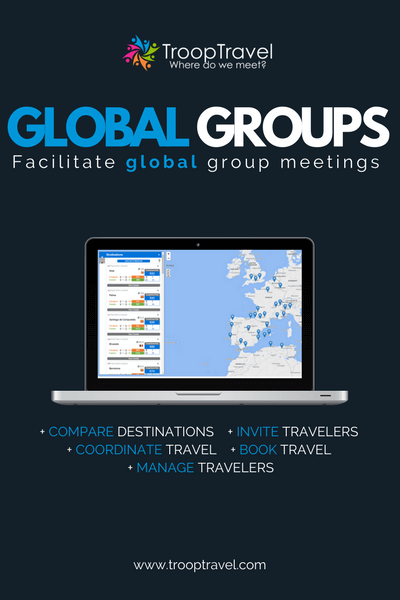 If you want to learn how to simplify your face-to-face group meetings, meet us at the Business Travel Show on 21st and 22nd of February 2018 at LP3!